Handwritten notes inside post-mortem register. The official death count at the zoo in 2017-18 was 91 from an opening stock of 1,202 animals.For, the deaths of several animals at Delhi zoo were not recorded: these include endangered species such as the brow-antlered deer found in Manipur, sambar deer, black buck, white buck, spotted deer, barking deer, red jungle fowl and palm civet, records show. 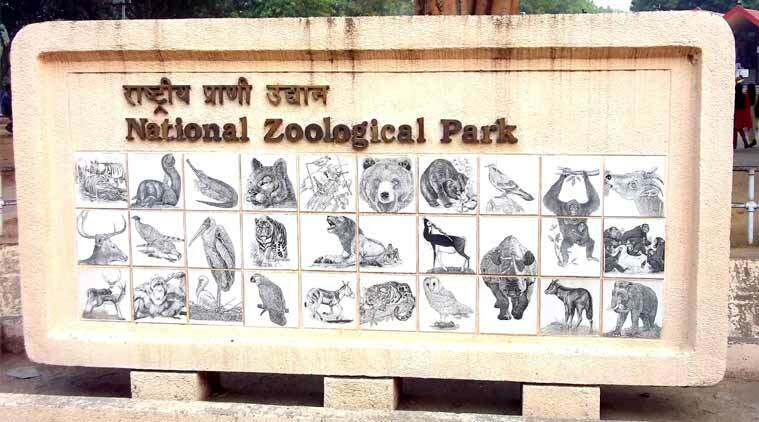 OFFICIALS at the National Zoological Park in Delhi (Delhi Zoo) evidently buried the deaths of at least 50 animals last year and dressed up data to show a remarkable dip in mortality rate, official records accessed by The Indian Express show. The official death count at the zoo in 2017-18 was 91 from an opening stock of 1,202 animals. On paper, this was good news since it was a sharp fall from the 325 deaths recorded in 2016-17 — a 7.6 per cent mortality rate compared to 27 per cent the year before, and just slightly above the 5 per cent considered acceptable for zoos globally. But the Delhi Zoo’s numbers are suspect. For, the deaths of several animals were not recorded: these include endangered species such as the brow-antlered deer found in Manipur, sambar deer, black buck, white buck, spotted deer, barking deer, red jungle fowl and palm civet, records show. * Every zoo submits the mandatory annual inventory report — opening and closing stock for each species with details of acquisition, birth and death — along with the mortality data that includes the date and cause of death to the Central Zoo Authority (CZA). The 2017-18 inventory of animals in Delhi Zoo shows 91 as dead. But the annual mortality list submitted to the CZA lists only 75 animals. * The zoo’s post-mortem register records all deaths on its premises. Under the Recognition of Zoo Rules 2009, a post-mortem is mandatory when an animal dies and reports are to be maintained for at least six years. In this register, accessed by The Indian Express, pages 101 to 150 were missing. And pages 154-200 were blank. While page 153 recorded the post-mortem of a black buck on October 3, 2017 the next entry is of the death of an Indian lion on November 4, 2017 on page 201. * Placed between the blank pages are handwritten scraps of paper in which 28 deaths are recorded for this one-month period. * However, of these deaths, 24 do not find mention in the annual mortality list the zoo sent to the CZA, the regulatory body for all zoos under the Ministry of Environment and Forests. 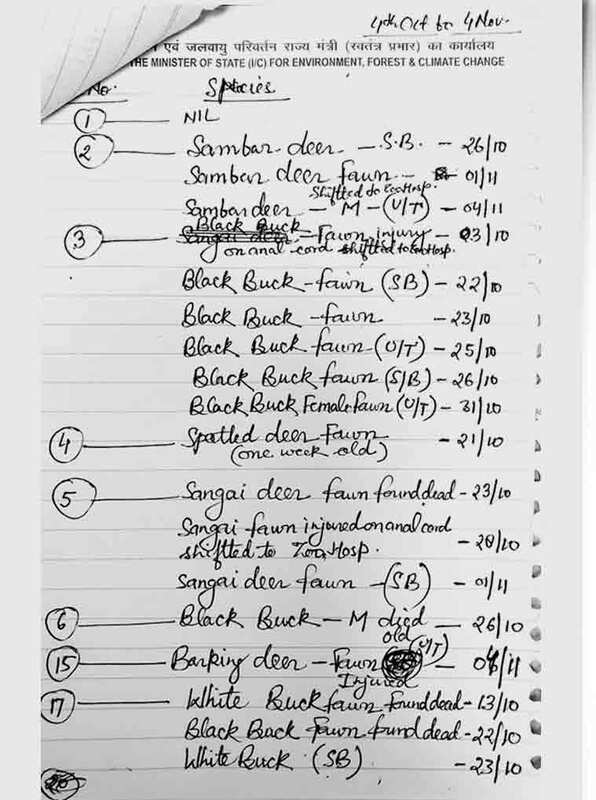 * Even three official post-mortem entries, of two black buck and a spotted deer, on pages 151-153 before the register went blank, were not reported in the mortality list. That’s not the only discrepancy. * The zoo maintains files on ailing animals sent to the hospital. Data accessed by The Indian Express showed that 67 animals were shifted to the Zoo hospital between April and December 2017 for treatment. Of these, only 16 were recorded as “returned” to their enclosures. 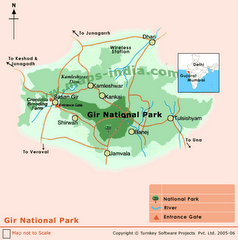 Of the remaining 51, only a few, including an Asiatic lion and a Himalayan black bear, were reported dead. The fate of the rest remains unclear. Sources told The Indian Express that barring a few, all died — and few of those deaths were reported in the annual mortality data. Taken together, therefore, the number of animals missing or dead beyond the official count is over 50. When told about these numbers and the missing dead, CZA chief D N Singh said the Authority was aware of “certain issues with the zoo’s post-mortem records and mortality” data. “We are looking into the matter,” he said. Official sources said the CZA has asked zoo officials to lodge a police complaint over the missing pages in its post-mortem register, which could account for many of these ambiguities. 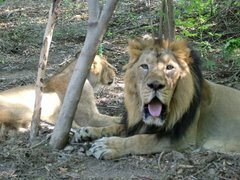 Sources said the blank pages were detected after the death of a lion on November 4 when Delhi Zoo director Renu Singh took custody of the post-mortem register. Soon after, sources said, 50 pages were declared missing. 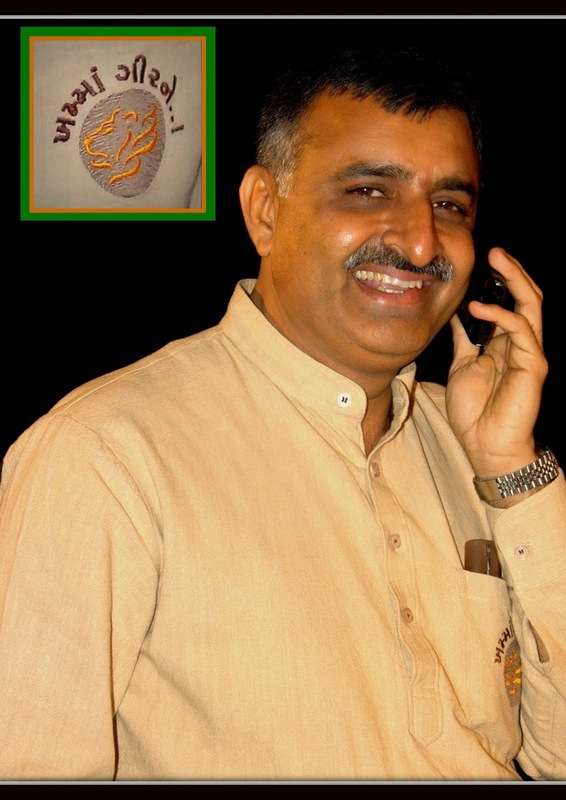 Singh, who took charge of the zoo in May 2017, did not respond to multiple emails and messages from The Indian Express seeking comment. Speaking to The Indian Express, on condition of anonymity, a staff member at the Delhi Zoo alleged that unethical methods are often used to fudge mortality data. “What makes suppression of deaths possible is that some of these animals were too young and were not part of the inventory when they died. If they are reported at all, they are shown as stillborn. In some cases, deaths are compensated by unrecorded births. For locally available species, the dead are simply replaced by animals captured illegally,” the staff member said.